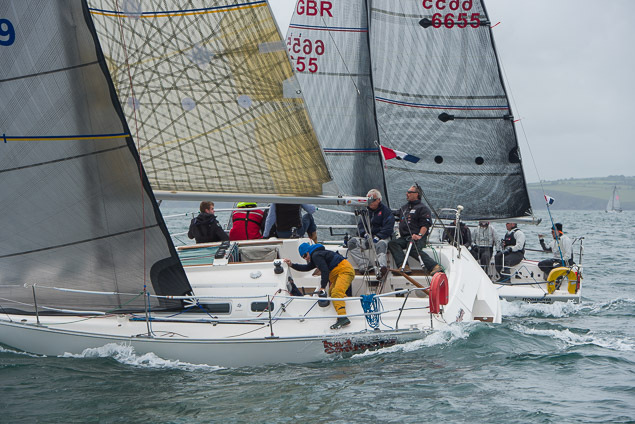 2017 ICRA Champions will be crowned shortly at Royal Cork Yacht Club after a decision to cancel today’s final races due to strong winds in Cork Harbour. Organisers ran a full schedule of races on Friday (day one report here) and Saturday (day two report here) ensuring a championship series has been completed, regardless of today’s early end. 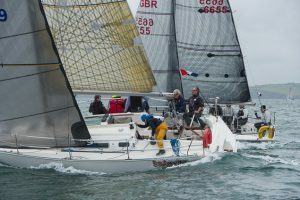 Harbour Courses were laid this morning but winds reached 35–knots before start time and racing was cancelled ‘on safety grounds’ by the race officers.